A family gazes at the stars on a beautiful night in Scandinavia. Astrophotographer P-M Heden of The World at Night captured this photo from Hedesunda, Sweden in September 2012. 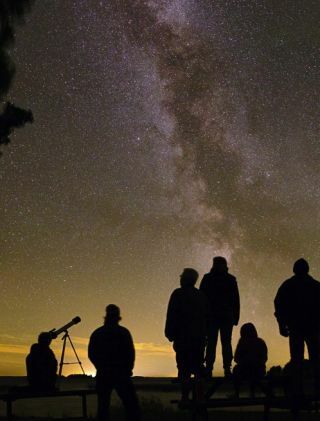 A family looks to the stars on a stunning night in Sweden in this amazing stargazing image. Veteran astrophotographer P-M Heden of The World at Night captured this photo from Hedesunda, Sweden, in September 2012. The bright stars of the Milky Way shine in this image. The Milky Way is our own host galaxy containing our solar system and visible as a band of light in the night sky.